Longlevens will be represented by Gloucester’s MP if proposals by the Boundary Commission are approved. The Liberal Democrats launched a petition earlier this year to show the strength of feeling that Longlevens should be represented by Gloucester’s MP rather than Tewkesbury’s. A couple of hundred local people signed the petition – both online and in the Lib Dem Spotlight newsletters – saying identified more with Gloucester than Tewkesbury. Today the Boundary Commission, the independent agency that reviews Parliamentary boundaries, published its draft proposals to cut the number of MPs in England by 32 to 501. In Gloucester, the Boundary Commission has proposed putting Longlevens back into Gloucester and moving the Quedgeley Fieldcourt and Quedgeley Severn Vale wards into the Stroud constituency. Councillor Jeremy Hilton, the leader of Gloucester Liberal Democrat leader, said: “I am really pleased that the Boundary Commission is proposing to move Longlevens back into Gloucester. “Residents in Longlevens identify with Gloucester, so it is only right that local people are represented by the city’s MP. Mr Hilton said earlier this year the Conservatives had appeared lukewarm to his suggestion and comments about the Boundary Commission’s proposals supported that view. “In the summer Tewkesbury MP Laurence Robertson was against moving Longlevens back to Gloucester and Richard Graham was not bothered about reclaiming Longlevens,” he said. Forty-one years ago I voted yes to stay in the Common Market. I intend to vote yes again on Thursday with a positive vote to REMAIN in the European Union. A union of 28 countries working together peacefully to sort out issues of cross border importance, such as trade, the environment and security. My primary reason in voting yes in 1975 was to make sure that European countries sorted out their differences around a table and not on a battlefield. I wanted to live my life in peace. I have never regretted my decision. 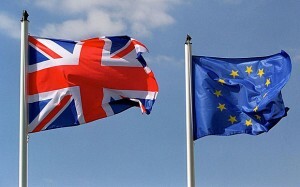 I have seen the Common Market of nine countries grow into the European Union of twenty-eight. In 1975 the continent was split between western democracies and socialist dictatorships. Spain, Greece & Portugal were becoming democracies and joined the EU in the early 1980s. Now the EU has a population of 508 million living in peace with each other and with governments co-operating over issues that affect us all. As Winston Churchill said “Jaw Jaw is better than War War”. I have been concerned about the whole tone of the referendum campaign, particularly when I listen to those arguing to leave. I also think to myself; ‘I want my country back’. But, what I certainly don’t want is the UK run by a right wing clique of people who feed on people’s fears and concerns. Who stir up xenophobia and blame others for our problems. I grew up in a country that was proud of itself and was an open and free society, working with other nations within international organisations such as the UN, NATO, the Commonwealth and the EU. I believe that if we leave the EU it will be a step backwards. We could see our country fall apart with Scotland leaving the UK and “Little England” left just floating in the mid-Atlantic with few friends. As individuals we would lose our right to live and work anywhere in the EU. Our European Health Insurance Card will become invalid. Many of us will suffer from loss of work or earnings. Taxes may rise. We shall probably experience years of regret that we isolated ourselves from our friends on the continent. I also want to address the nonsense espoused by leave campaigners that the EU is undemocratic, this is untrue. Every five years we elect MEP’s to represent us in the European Parliament, which amends and approves legalisation that the Council of Ministers’ support. The Council of Ministers includes an elected representative from every government. The European Commission acts in a similar way to our very own Civil Service. I hope that everyone will think very carefully about the way they are going to vote on Thursday. This is not the time to bash the Tory government, we can do that at the ballot box at the next general election. This is a time to vote for our children’s future. In my view it will be much better for them if we remain in the EU. The seven Liberal Democrats councillors on Gloucester City Council met at the weekend to elect their leader and deputy leader, plus other group positions. Cllr. Jeremy Hilton (Kingsholm & Wotton) will remain the group leader and his deputy will be Cllr. Declan Wilson (Hucclecote). Isabel Brazil & Jeremy Hilton will contest the Kingsholm and Wotton ward for the Liberal Democrats at the city council elections on May 5th. There will be all out elections for the city council on new ward boundaries with the number of councillors going up from 36 to 39. 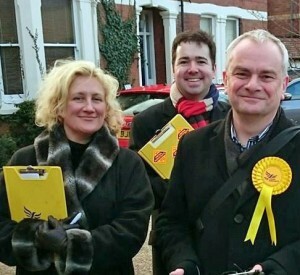 Kingsholm and Wotton ward, regarded as a Lib Dem stronghold, will elect two city councillors. Isabel Brazil will join Jeremy Hilton in standing for the city council as Sebastian Field steps down to concentrate on his singing career. Sebastian said: “I have loved my time on the city council and this was not a decision I took lightly. Kingsholm and Wotton is a great place to live and work and I will miss being one of the councillors for the area. Isabel Brazil lives in Edwy Parade and knows the local area very well. Her late father Peter Brazil was a Lib Dem councillor on Tewksbury Borough Council. Jeremy Hilton said: “Isabel Brazil will make an excellent councillor. I am pleased to have her as my running mate. Kingsholm and Wotton is a wonderful place to represent on the city council. I hope the voters will elect the both of us on 5th May. 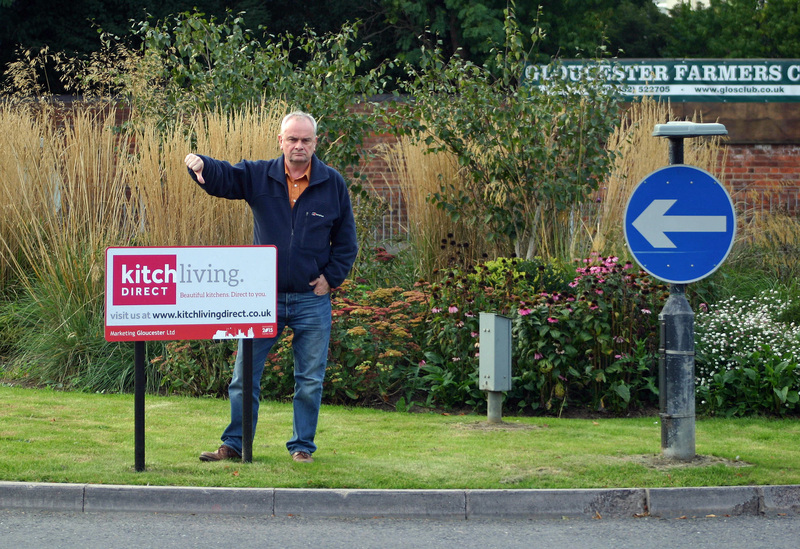 Liberal Democrat councillors on Gloucester City Council are to call for the removal of all adverting boards on roundabouts within the city boundaries. Jeremy Hilton and David Brown will lead a debate at the city council, when it next meets on 19th November. Liberal Democrats are critical that the decision to sanction the installation of advertising boards by the Tory Cabinet Member for the Environment, Cllr. Jim Porter was done without consultation with ward councillors and the local community. “This council notes with great disappointment the Cabinet Member for the Environment’s decision to sanction the installation of advertising boards on roundabouts across the city. 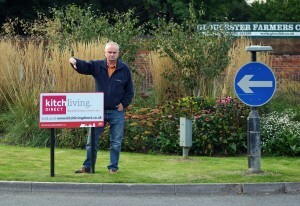 This council believes these advertising boards are tacky and unsightly; blighting some well kept roundabouts. The council also believes these advertising boards could be a distraction to motorists and present an unnecessary hazard to motorcyclists. On the day Gloucestershire submits a detailed bid for more devolved powers and responsibilities, which means greater local control and influence over resources and priorities. The Liberal Democrats issue their own ‘Statement of Principles’, on which support for a devolution package will only then be determined. 1) Liberal Democrats believe that devolution needs to be created by locally led processes and are mindful that devolution as it currently stands to a model set out by Government is not real devolution at all. 2) Liberal Democrats will only support devolution if Government is genuinely interested in giving power back to local communities, but not if the intention of Government is simply to pass cost-cutting measures onto local authorities under the façade of devolution. 3) The new responsibilities handed down from Government to Gloucestershire must come with full powers to decide, manage and innovate at a local level. 4) The Government must ensure that adequate funding is guaranteed now and in the future to support good quality services for residents of the county. 5) The government must ensure that the new arrangements allow for additional funds to be raised locally or through other legitimate means to support enhanced service provision if that is decided by locally elected members. 6) The governance arrangements must be cross-party and fully reflect the political proportionality that exists on the councils that make up the new governing board that will oversee the new devolved services. 7) We will not support the establishment of a metro mayor. Governance of the new additional arrangements must not be handed over to a single person as we believe collective responsibility across all political parties, provides for better services. 8) If we want democracy alongside devolution, then, we ultimately need a fairer voting system for local government in the form of STV. “We are very much in favour of devolving more powers and responsibilities to local areas, but the deal must be right and it must be in the interests of Gloucestershire as a whole. “Our ‘Statement of Principles’ are more than just a wish list they are key to us supporting the ‘We are Gloucestershire’ bid, which I believe is being signed and submitted today. “There are a number of factors to be considered and the last thing we should be doing is to look at devolution through rose-tinted spectacles. While devolution presents a number of exciting opportunities, it will not be easy to commit to achieving better outcomes at further reduced costs and this ought to be fully realised. “Gloucestershire County Council is in no overall control and it is therefore vital that not only public sector partners are consulted, but that all political parties who are a part of the public sector have a say in what is being proposed and what will eventually be agreed. “In any deal, the question is: who holds the cards? It is important that through the negotiation process of devolution we don’t allow Government to hold all the cards. 1. Ten of Gloucestershire’s public sector partners have already come together including Gloucestershire Councils, the Police & Crime Commissioner, GFirst Local Enterprise Partnership and Gloucestershire Clinical Commissioning Group to have one conversation with Government about how, through devolution, one can achieve better outcomes and reduced costs. 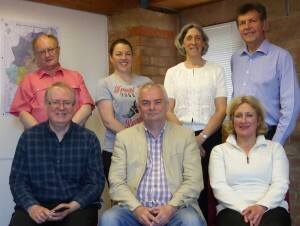 A strong team of Liberal Democrat County Councillors who will work hard for the residents of the county and also keep a close eye on those decisions being made by a Conservative administration where there is no overall control has today been announced by re-elected Liberal Democrat Group Leader, Cllr. 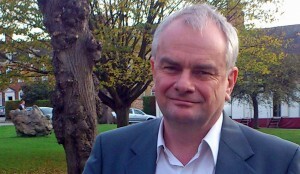 Jeremy Hilton (LD: Kingsholm & Wotton). “I look forward to working alongside them all with Cllr. Iain Dobie who I’m delighted will again be serving as Deputy Leader. Despite our recent knock-backs, I’m confident that with a strong team of local county councillors we will continue to work hard to strengthen the local economy, fix the roads and protect the most vulnerable across Gloucestershire all the way through to the county elections in 2017”. More must be done to protect tenants who rent their home from private landlords says “Gloucester Born and Bred” Liberal Democrat parliamentary candidate, Cllr. Jeremy Hilton. Jeremy Hilton said: “In the last few years there has been a big increase in the number of people who rent their homes in the private sector. There are good landlords and there are rogue ones. “Most people just have a six month short-hold tenancy agreement. Tenants can be given just two months notice once the six month tenancy ends. This means tenants having just 8 months to live in their home before they have to move out. Imagine moving home every 8 months out of no choice of your own. I believe this is unfair and disruptive to family life. Gloucester’s ‘born and bred’ local man and parliamentary candidate, Jeremy Hilton has spoken out about what the Liberal Democrats in government have accomplished in terms of protecting civil liberties and the main reason why the electorate should vote Lib Dem on May 7th. “The Liberal Democrats have from its very existence stood up for human rights, equality issues and the protection of civil liberties. “I’m extremely proud of what the Liberal Democrats in government have achieved over the last five years regarding human rights and civil liberties. We have continuously fought to protect the very rights that I see to be the bed-rock of a free and humane society and the main reason why I joined the then Liberals in the 1970’s. “The Liberal Democrat record in government speaks for itself – we’ve not only scrapped the expensive and unnecessary ID cards system proposed by Labour, but have in addition ended the police’s permanent storing of innocent people’s DNA, and stopped children from being fingerprinted in schools without parental consent. “I’m delighted to see that the Liberal Democrats in government have restored the right to protest outside Parliament, and reformed the bureaucratic criminal record checks for ordinary people who work as volunteers and provide an invaluable community service. “I’m also pleased that the Liberal Democrats have banned the incredibly unfair wheel-clamping operations that happened regularly on private land in Gloucester and across the rest of the country. “Unlike the Tories, we believe very much in the Human Rights Act and have so far stopped the Conservatives getting rid of this important legislation. “It is of grave concern that the Tories, if elected and able to govern alone, will repeal the Human Rights Act. Both the European Court of Human Rights and the Human Rights Act have and continue to make a real difference to the lives of many people and should be applauded not abolished.